Last Christmas I gave my friend Aaron a Barry Bonds “babooshka” doll. Aaron is only a casual fan, but he dabbles in the mystic arts, and I asked him to use the doll to cast a spell on the slugger. “I want him to stop cheating,” I told him. “Make the steroid scandal go away. But he has to keep hitting home runs.” With a laugh, Aaron promised to try. “However, my greatest wish is for his arrogance to drop about 20 notches,” he remarked. Giants fans erupted last week when Bonds finally took the field after multiple knee surgeries and an 11-month layoff. Though he hadn’t played all season, they had good reason to cheer him. 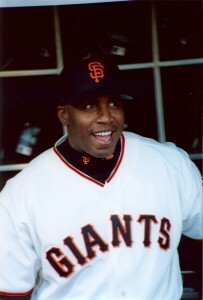 Bonds has smashed records and more than 500 home runs since joining the Giants in 1993 while lifting the fortunes of the entire franchise. For much of the Candlestick era, the Giants lost habitually as their cold stadium repelled fans. With little else to promote, the team glorified its fans’ character, awarding “Croix De Candlestick” medals after extra-inning night games. Today, that’s largely changed. San Francisco plays in a beautiful park and rank near baseball’s top in wins and attendance almost every year. Bonds isn’t the only reason for the turnaround, but he’s certainly done more than any other player to elevate the Giants’ stature. His absence for most of 2005, and the team’s subsequent drop in performance and ticket sales, only further illustrates the Bonds effect. When Bonds invited a 9-year-old leukemia survivor onto the field before his first game back, and promptly crushed a double off the wall in his first at bat, it was thrilling and magical and natural to cheer him again. But there are also reasons why Bonds draws more boos on the road than any player in the game. A mountain of circumstantial evidence suggests Bonds used steroids: his trainer’s recorded comments, his alleged mistress’ allegations, and Bonds’ own grand jury admission of using substances matching the descriptions of BALCO steroids, not to mention the freakishly gaudy offensive output that began in his late 30s. If Bonds isn’t the most outrageous cheater of his era, he’s certainly doing a good impression. The most partisan Giants fan can’t profess his innocence with a straight face. 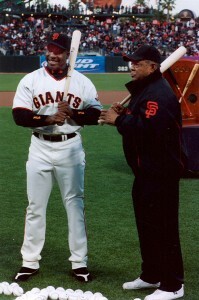 Yet Giants fans gave Bonds several standing ovations last week in his first games since much of the story became public. What does this say of fans once known for, and proud of, their character? There are many rationalizations. Bonds hasn’t admitted steroid use, and he was a superstar long before he dramatically bulked up. If Bonds used illegal drugs, he’s certainly not alone; baseball has suspended nine players this season, and dozens more tested positive in previous years before penalties took effect. Perhaps the main reason for Giants fans’ continued support of Bonds is this: the game is supposed to be fun. We look to baseball for entertainment, not sorrow. Giants fans don’t want to believe or even contemplate whether Bonds has turned them into hypocrites. Nobody wants the game they love to burden them with guilt. With Bonds’ return to the game comes a choice, and here’s mine: I’m breaking up with Barry. I’ve enjoyed watching him play as much as anyone, but my conscience will no longer allow me to cheer a man I’m convinced has cheated and lied about it. In fact, I’ve turned my Barry Bonds bobblehead toward the wall in what parents of young children call a “time out,” until he starts behaving better. But I still buy tickets and root for the team. How complicit does that make me? I’d rather not think about it, so I called Aaron to check on his spell. He had donned his pentagram necklace, burned candles and incense, and performed “some hocus pocus on the Barry doll.” Reviewing our objectives, though, we agreed the invocation failed miserably on at least three out of four counts. Bonds’ layoff meant no home runs. The steroid scandal rages on. During spring training, Bonds’ scorched-earth press conference (“All of you lied!”) seemed to rule out a reduction in arrogance. Only the cheating question remained unanswered. And a run scores for Giants fans with character.